Welcome to Royal Duel Academy (RDA)! Please note that this is a dead academy, and registration is closed as well as most of the topics now. If you are not already a member of RDA, don't forget to sign up! And if you are a member, don't forget to recruit! You get 10 Gold for every member recruited which you can use to rank up a dorm as well as qualify for the Tester Exam! RDA's member of the month is....Hyperion-Konami! Currently, RDA is ranked: #29 out of all the academies! Read our rules here at RDA before competing in any events or completing your dorm testing! This is the first place for new members to check when they sign up! The academy announcements will be posted here! Don't forget to check here often for some new updates! Say "Hello" to the members and introduce yourself or if you are leaving us, say a grand "Farewell". This is for academy war info, war suggestions, war team info, etc. These are the "palaces" (offices) of the Academy Admins. You may leave suggestions and stuff to the admins in their "palace". After every month, the members will find out who are the top 3 members with the highest ranks and those 3 will earn rewards such as DP. Request a testing here and a tester will help you shortly after. This is where your test results will be posted for your entrance exams and re-tests. Other tests such as the Tester Exam will be in the Special Test Results section. This is where War Team Test Results, Tester Exam Results, and Royalty Gold Dorm tests will be posted. This is to organize Test Results a bit more so not all the test results will be in the same place. The best in the whole academy, the true royalty of the academy. Very Skilled and Amazing Duelists will be placed here. They have completed most of their journey and currently are some of the best duelists in the academy. They still always have something new to learn each day in their duel journey, however. This is the dorm for the elite duelists who made a very high score on their testing. Even with making very high test scores and being very good at dueling, they are still a far way from fulfilling their full potential as a duelist. This is the dorm for the intermediate/average skilled duelists. 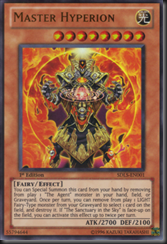 They are overall decent and well-balanced duelists and are close to the best! This is the dorm for the duelists who made a low test score on their testing. They still need to improve on some things, and even though they are underestimated, with a little time and training, they will become the best duelists ever known! Jaden Yuki started at the bottom and look at him at the end of GX! New academy tournaments will be posted here. If a tournament is over, the topic will be locked by an admin. If a tournament is disbanded, the topic will be deleted. Here is where special academy events will be placed, not only regular tournaments and duels. This is the normal duel arena. You do not lose pts. if you lose here unlike the Shadow Duel arena, however you can only be awarded 10 pts. per win here. This is where you can wager out points in an all out all or nothing duel! To open up a Deck Shop or GFX shop, you need to buy one using 60 gold. Post your receipts here then an admin will come and transact points. Here you can show off your decks, whether you need help with the deck, making one, or already have one. You may receive pts. for doing your dorm homework by your dorm leader. Homework will be posted here and you must then pm your answers to the dorm leader then you will get your grade and pts. This month's card is... Master Hyperion! Click the card below to go to Dueling Network!